Three composites made from screenshots taken at the Lineto and Klim websites. The image above shows some screenshots I cobbled together on my phone to show the two fonts sharing the same space. The mix seems to have everything we have been looking for, with nothing more and nothing less. 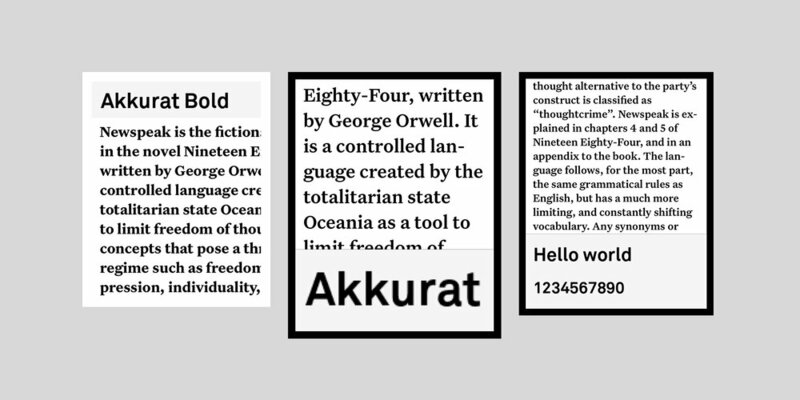 Akkurat sill keeps its alpha status and Untitled Serif has the room to express itself whether it intends to or not.